People donate all kinds of interesting things to the nonprofit organization I work for. It’s great for the found object artist. 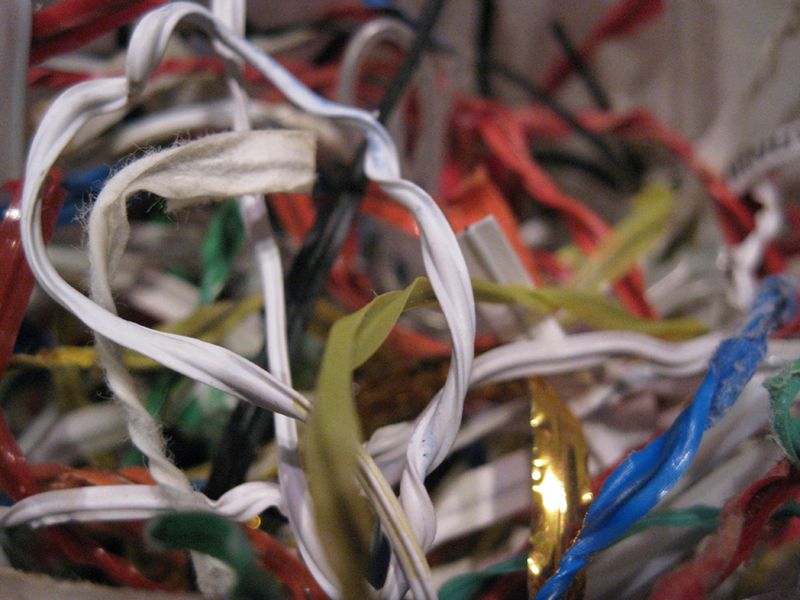 I was looking through a donation the other day and opened a container to find a mass of twisted, used twist-ties. All together they looked really interesting and a little (should I admit it) repulsive. Now they’re destined for art.